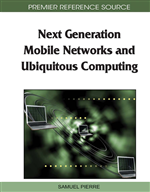 This chapter presents the state-of-the-art of real-time communication in the challenging topic of Wireless Sensor Networks (WSNs). In real-time communication, the duration between the event which initiates the sending of a message, and the instant this message is received must be smaller than a known delay. Because topologies are extremely dynamic and not known priori, this type of constraint is very hard to meet in WSNs. In this chapter, the different communication protocols proposed in the literatures, together with their respective advantages and drawbacks, are discussed. We focus on MAC and routing because they are key layers in real-time communication. As most existing protocols are not suitable under realistic constraints where sensor nodes and wireless links are unreliable, we give, at the end of this chapter, some insights about future trends in designing real-time protocols. We hope to give the reader an overview of recent research works in this complex topic which we consider to be essential in critical applications. Applications with timeliness constraints are called “real-time”. When an event happens, the application should deal with it within a known and bounded delay. The application taking more time can have a potentially (very) negative impact. Real-time applications are classified in two categories. Hard real-time applications are such that the bounded delay absolutely needs to be met. Examples include forest fire detection. Soft real-time applications are looser in that they can tolerate not to meet a deadline. Examples include multimedia applications. Applications can be classified in four categories, according to how data exchange is initiated. In event-driven application, communication starts when some event happens. In query-driven applications, communication only starts when a specific node sends a query. This specific node can be the sink node in the case of WSNs. In time-triggered applications, communication happens at predefined instants. Finally, some applications such as live video transmission require data to continuously flow through the network. Each one of these application categories has specific time-related constraints.